After his early exit from I’m A Celebrity, Freddie Starr could be set for an altogether less stressful reality TV experience – Celebrity Big Brother. 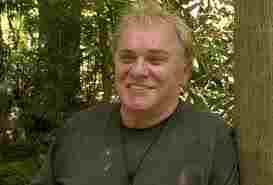 Freddie Starr has told pals he now wants to enter the Celebrity Big Brotherhouse when the show returns in January, after being forced to quit I’m A Celebrity earlier this week.A Channel 5 insider told The Daily Star: “The jungle may have been deemed too tough for Freddie but anyone can sit in a house for a couple of weeks.”Celebrity Big Brother would be right up his street as it wouldn’t put massive pressure on his health. “And it would give him the perfect platform to entertain the nation. “We believe he would be perfect for the show. He’s not afraid to say what he thinks and during his trial he showed that he’s a real game player. We like the idea of this – Freddie was shaping up to be great TV on I’m A Celebrity – let’s get him on CBB!